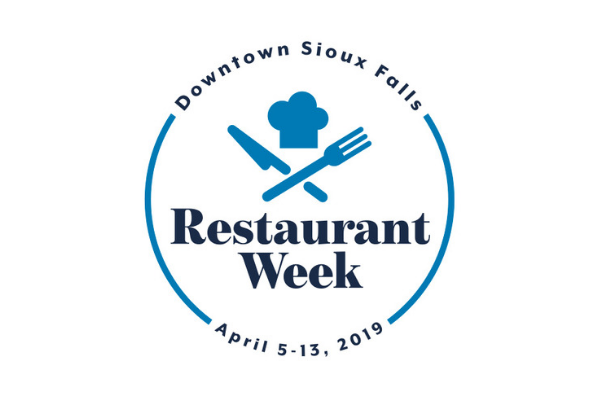 Savor the flavors of downtown as you revel in the culinary talents of this year’s featured downtown chefs and restaurants during this season’s Downtown Restaurant Week! During Restaurant Week, customers will get to choose one appetizer, one entrée, and the dessert for the $30 price point*. Wings O’Malley – Half portion of crisp fried breaded boneless chicken tossed in your choice of Asian, Dragon, Angry or Kilt Lifter Habenero sauce. Served with celery and ranch OR blue cheese dressing. Irish Nachos – Half portion of waffle fries topped with seasoned beef or chicken, melted jack-cheddar cheese, tomatoes, jalapenos and green onion. Served with Dublin dip and salsa. Corned Beef & Creamed Cabbage – Tender oven-baked shredded corned beef with creamed cabbage and champ potatoes. Served with creamy horseradish dijon, a rustic roll and honey butter. Kilkenny Cod – flour-dusted pan sautéed cod with a light white wine and lemon-garlic sauce nestled on a bed of wild rice with a side of house vegetables and served with a lemon. Jameson Irish Bread Pudding – Cinnamon, nutmeg and vanilla notes, deep fried and topped with Jameson Irish Whiskey sauce and served with ice cream. B&C wedge salad with green apple, dill and smoked blue cheese ranch dressing. Chorizo and potato croquettes with Oazacan melting cheese, pickled jalapeño and green romesco. Pork Katsu with bok choy, white bean and miso stew and Tonkatsu Sauce. Seared sea bass with Massaman Curry Grits, pickled mustard greens, scallion and ginger drizzle (vegetarian option will substitute blackened tofu). Pan-seared yellow fin tuna on a bed of Asian peanut noodles and fresh spinach. Choice of dessert from the bakery case. Crab Fritters with Smoked Pepper aioli. Potato Latkes with Spring Herb Dressing. Hyatt Family Farm’s Pork Arepas. Rigatoncini Pesto Pasta with Spring Vegetables. Garlic herb Arancini – Crispy fried risotto, fontina & parmesan cheese with tomato ragu and spiced truffle aioli. American Wagyu Skirt Steak – Snake River Farms skirt steak with Yukon gold potatoes, peppers, onions, corn and garlic topped with smoked balsamic reduction. Shrimp & Scallop Linguine – Shrimp, bay scallops, sun dried tomatoes, mushrooms, marinated artichokes and garlic tossed with pesto cream sauce. Lithuanian Apricot Torte – Layers of flakey pastry and apricot with apricot sauce, whipped cream and mint. Butternut Squash Risotto topped with grilled chicken breast and grilled asparagus, drizzled with red wine demi and butter sauce. Pineapple upside-down cake with bourbon cherry whipped cream. Potted mushroom pate – Vegan pate made from locally grown mushrooms, potted with pickled red onions, served with toast points. Rustic Ratatouille – Melange of chunky roasted vegetables and herbs finished with black truffle oil and fried fresh egg. Brown Butter Citrus Shortcake – Rich brown butter and cream cake topped with caramelized orange, lemon and limes in a limoncello glaze. What Downtown Restaurant Week Restaurant Fits Your Personality?